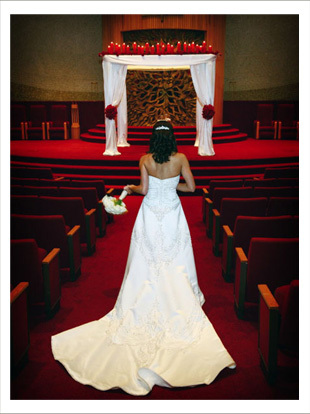 L & jay Productions specializes in all types of weddings, from romantic candlelight church ceremonies to breathtaking chuppahs and bimah décor to colorful mandaps. We are known for our passion and versatility. 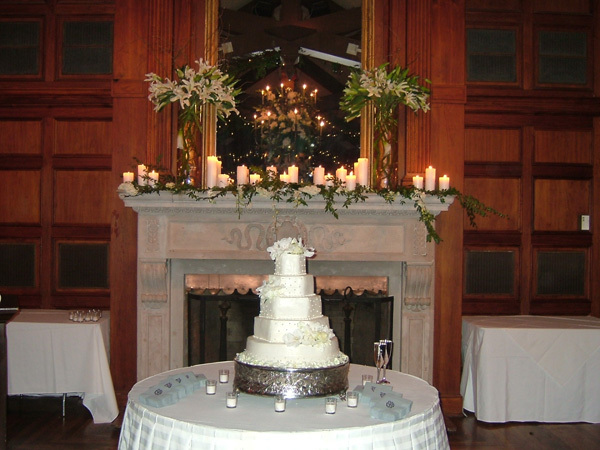 L & jay can transform any reception venue with beautiful candlelit ambience that features crystals dripping from the ceiling and creative florals or into a fresh space with clean-line, out-of-the-box florals, lounge furniture, and colorful uplighting for the bride who desires a more party-like atmosphere. During our years of experience, L & jay has gained the knowledge to incorporate additional custom elements of décor into any event. Examples include florals for rehearsal dinners, unique backdrops for bedekkens, unusual mehitzahs for dance floors, props and décor for sangeets, linens, and lighting. 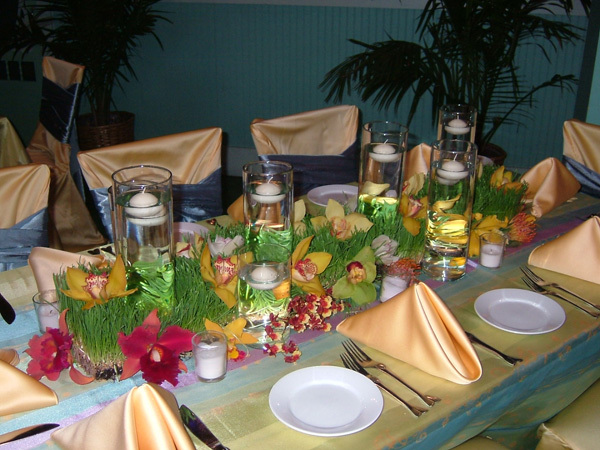 Details and touches like these allow us to fulfill an overall vision and style for each event. "Thank you so much for the lovely reception & wedding. You and your crew outdid yourselves again!" "It’s been a year now but we just recently got our wedding pictures back, and I was reminded again of how beautiful and perfect everything was." "I just wanted to give you a big thanks for doing such a wonderful job with the flowers! They took my breath away. They were more than I could have every imagined." "What can I say but “Oh my God?” You outdid yourself with the flowers for Lindsay and Brian’s wedding. 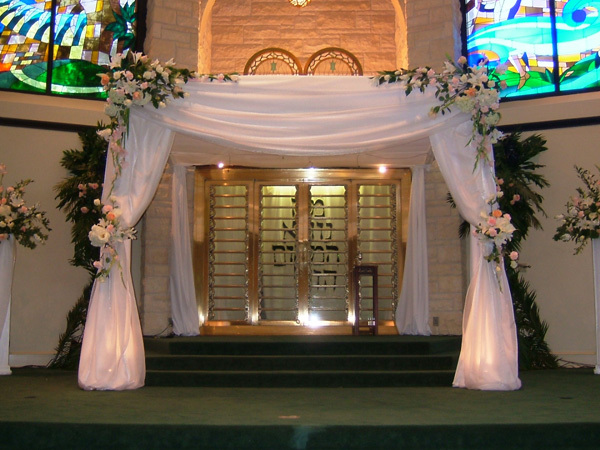 The chuppah was beautiful, outstanding, elegant yet simple." 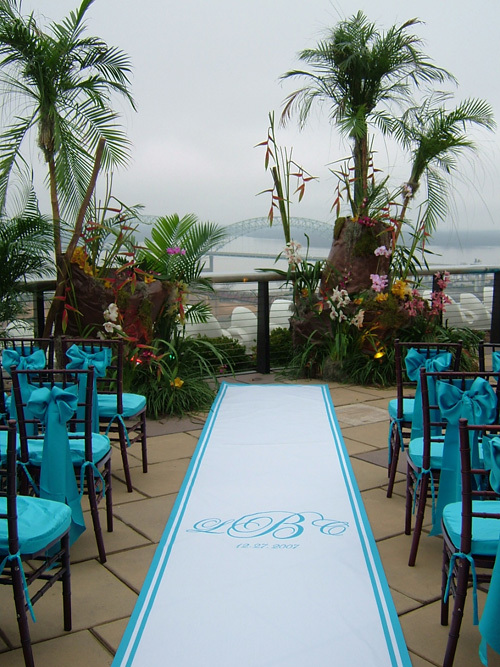 "Thanks so much for participating in making Jennifer’s wedding a beautiful and elegant affair. The flowers were outstanding and enjoyed by all." "There are just not enough words to describe Carrie’s flowers, both at the church and the reception. You and your staff did a wonderful job. Everything was just the way she had envisioned... it was her fairytale!" "Thank you so much for the beautiful flowers that you created for our wedding! Everything looked FABULOUS, and we have you to thank for it. In addition to the beautiful flowers, you were a pleasure to work with!" "There are no right words that come to mind when I try to express my happiness with the job you and Lee have done this past weekend. The rehearsal dinner flowers were beyond belief." "Awesome job! The flowers, including the willows, were perfect. You created a magical atmosphere for our daughter’s wedding. Thank you! And please convey to your associates our appreciation to everyone’s hard work." "Thank you so much for the brilliant job you did with your wedding flowers! You captured precisely what we wanted and far exceeded our expectations! Just absolute perfection..."